Landowners near the Panguna mine in Papua New Guinea’s Bougainville region have voiced outrage at the local government’s new mining plan. The plan comes after squabbling over who should get the licence for the Panguna mine, followed by a government moratorium on any Panguna development because it could undermine the referendum on independence from Papua New Guinea, planned for June of this year. Describing the deal as the best for landowners, Bougainville President John Momis said existing companies already mining in Bougainville doing were “not affected by this new deal”. He explained that with PNG’s central government failing to fund Bougainville ahead of the referendum, the government decided to take urgent action to find money. Caballus Mining, owned by West Australian businessman Jeff McGlinn, has no public profile in the industry. This is of concern to the Osikaiyang Landowners Association, whose chairman, Philip Miriori, raised questions over the viability of finance for Caballus’ plans. “McGlinn is demanding an initial 40% percent interest, which will increase further over time, without any upfront cash and only a shallow promise of future money if he is granted those rights first. “This is just a con job,” Mr Miriori said, adding that Mr McGlinn’s track record with indigenous people, and stand on customary rights, made him ill-equipped to gain a social license for his Bougainville plans. The new plan has thrown a cat amongst the pigeons in Bougainville public discourse in this important year. A public forum to discuss the issue washeld in Arawa on Sunday highlighted general community outrage over a move to change Bougainville’s laws in order to expedite the new mining development. The Bougainville Advance Mining Holdings Trust Authorisation Bill, the Bougainville Advance Mining Holdings Limited Authorisation Bill, and a Bill to amend the Bougainville Mining Act 2015, have all gone through first reading. At the forum, the Chairman of the Bougainville Hardliners Group which is opposed to any form of large scale mining, called on the Bougainville government and general public to fund the referendum from their own pockets by donating twenty kina each meet referendum expenses. At the end of the meeting a resolution was passed to lobby to block the bills from being finally passed in by the government. In a statement, Bougainville Copper Limited said the new developments raised “very legitimate legal, constitutional and ethical questions”. 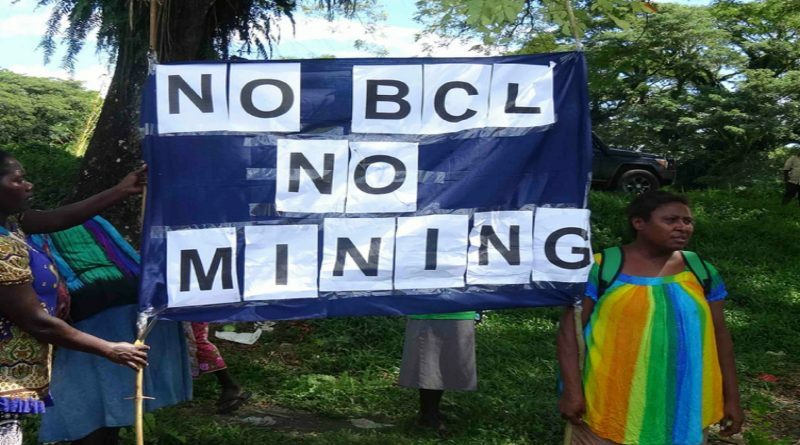 Mr Momis had placed an indefinite moratorium on mining at Panguna after landowners opposed the return of BCL. The landowners said BCL would not take responsibility for the environmental and social impacts of its previous operation. 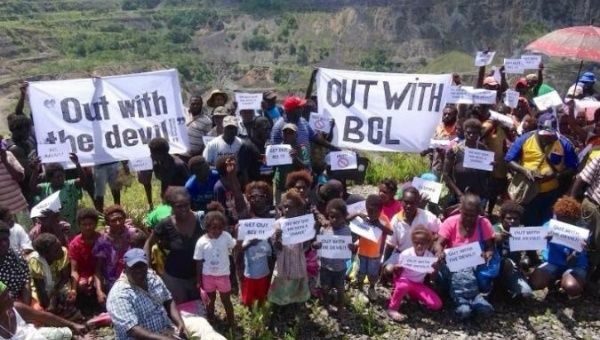 However BCL said the Bougainville Mining Act 2015 did not need to be modified. The bills are to be further read by the local parliament on 12 February. Bougainville Copper’s efforts to bring the past-producing Panguna mine back online is again in jeopardy over hasty moves by the Autonomous Bougainville government to make changes to the mining laws. Last week three new bills were introduced to Parliament, including one that would allow a newly formed company to bypass current red tape and go straight to mining any land that is not subject to an existing exploration licence or mining lease. 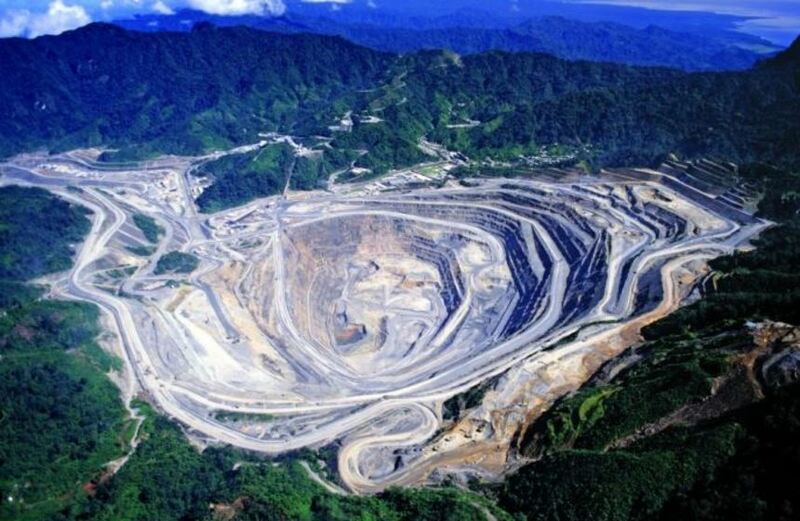 The problem for Bougainville Copper (ASX:BOC) is that it has been fighting the government to get its exploration licence (EL) over the 1.5 billion tonne Panguna mine renewed. The Autonomous Bougainville government previously rejected Bougainville Copper’s renewal application, but a court overturned the decision. “That left us with an EL application still in process over Panguna, and that’s where we assert our rights that we still have an EL over Panguna,” company secretary Mark Hitchcock told Stockhead. Under the new laws, the newly formed Bougainville Advance Mining Limited would be granted a special mining licence without the company even having to seek landowner approval. Consent from the traditional landowners is required for the issue of any exploration licence on their customary land, a process which has historically escalated to wide-scale political unrest on the island. The region has long been known for its copper and gold prospects, but disputes between regional residents and explorers such as Bougainville Copper have marred production since the early 1970s. 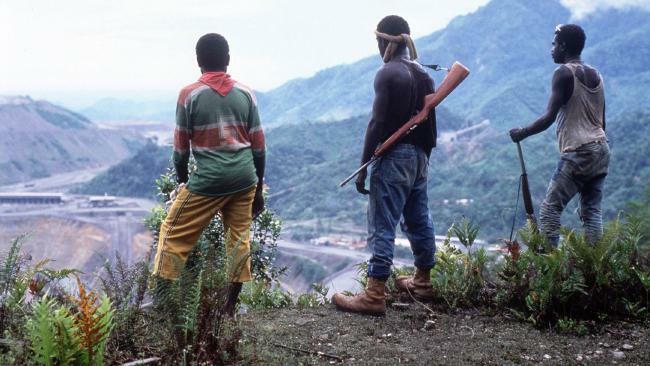 Conflict between the Bougainville Revolutionary Army and Papua New Guinea Defence Force escalated to a civil war in 1988 and took almost 10 years to cease. Now, the Autonomous Regional of Bougainville is seeking independence for its population of 250,000, with a target date of June 15, 2019 set for a referendum on the topic. Mr Hitchcock said there is strong public opinion against the government’s move to change the 2015 Mining Act. “From what I’m reading, Bougainvilleans are becoming a bit distressed about just what it means and why [the government] spent so much time getting a really robust Mining Act put together and then in a very short time have some amendments come through that could strip away a lot of powers of the landowners and the people that actually own the resources,” he said. It has been a long fight for Panguna for Bougainville Copper. Back in 2014 the company was stripped of its mining licence and handed a two-year exploration licence instead. Attempts to renew the licence after two years were delayed and Bougainville Copper came up against claims from fellow ASX-listed explorer RTG Mining (ASX:RTG) that it had the support of the landowners to start work on the Panguna mine. “There is still a tussle going on there,” Mr Hitchcock said. “RTG executives have bans on them from travelling to Bougainville. ABG has imposed them through the national government. The three new bills are due to be returned to Parliament on February 12 for further discussion. Earlier this month the group, the Osikaiyang Landowners Association, announced it had achieved unity at its annual meeting in December. Leader Philip Miriori said they now have a board representing seven villages in the Panguna area and have included youth and women members. But the rival Panguna Developments Company said Osikaiyang doesn’t have the right to represent all the landowners and says it doesn’t have any status under the Bougainville Mining Act. It also said Osikaiyang cannot claim to own the mineral rights at Panguna as its business associate, Australian mining company, RTG, claims on its web page. The Panguna Developments Company has links to Bougainville Copper Ltd which is also endeavouring to return to mining at Panguna. But a year ago, fearing the mine issue would undermine the independence referendum, the autonomous Bougainville government announced an indefinite moratorium on a possible return to mining there. 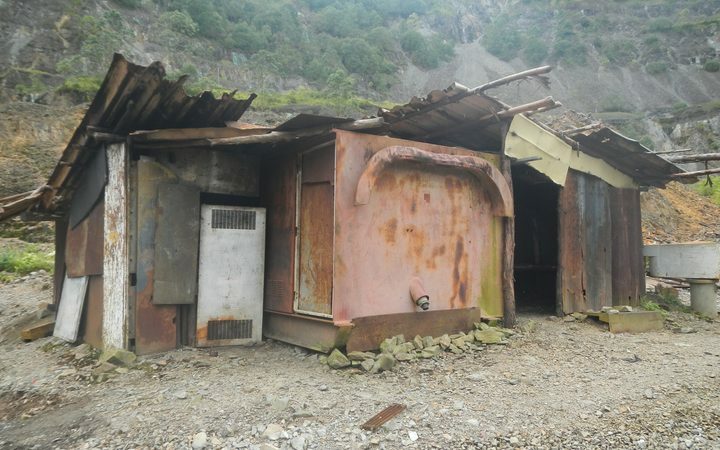 The dormant Panguna copper mine, which has been abandoned since 1989 due to local conflicts, contributed roughly 40 per cent of PNG’s economy during the height of operation. “This gesture of support by RTG is significant towards our efforts to compliment our ABG Government including all stakeholders on Bougainville working towards a united and peaceful Bougainville,” said Peter Tsiamalili, Autonomous Bougainville Rugby president.